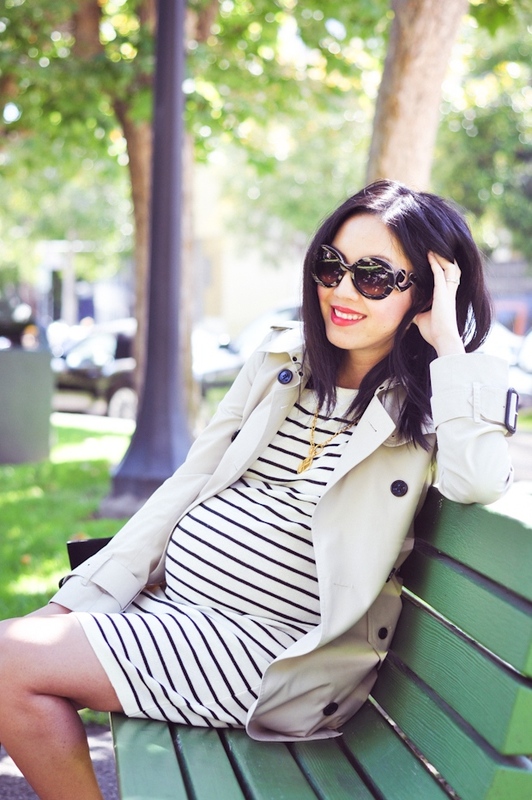 Here’s my final installment of SF’s “best kept secrets” with Shopstyle! In case you missed it, my first and second posts are here and here. My routine here is exactly that – a routine! 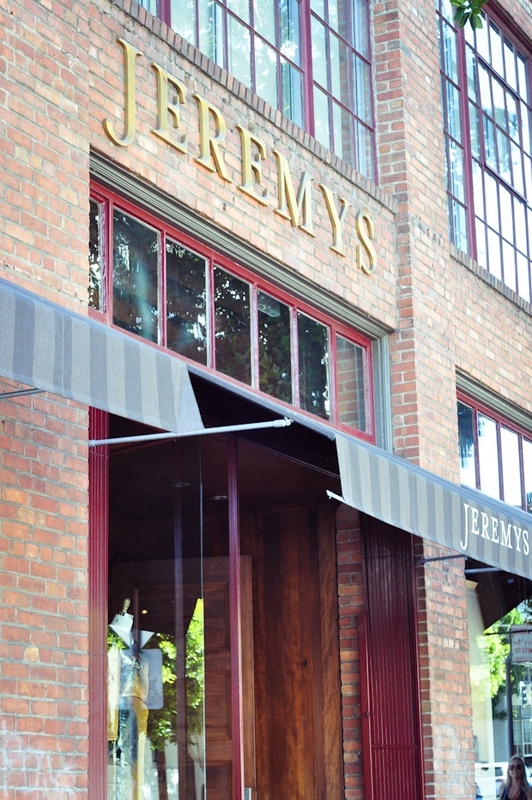 Because there’s no trip to South Park without a stop into Jeremy’s, a local gem of a store where you can hunt for amazing designer deals (have walked away with way too many good finds here!). After working up an appetite, I typically grab a delicious tomato soup and grilled cheese sandwich at the American Grilled Cheese Kitchen (which I’ve both blogged about and Instagram’d several times before!). Hope you enjoyed the series and hope you have a lovely weekend! you are stunning! love this classic look. Too cute! I love Jeremy’s and I completely forgot that I’ve been wanting to check out The American Grilled Cheese Kitchen for ages now… thanks for bringing it back to the forefront of my mind! I can’t wait to see how you dress your baby! I’ve been to sf so many times yet have never made a stop here! Jeremy’s sounds so fun ill have to stop by next time! I love your best kept secrets! This reminds me I keep meaning to check out the American Grilled Cheese Kitchen. oh, and I love your coat! I love your classic style, gorgeous photos! I love your outfit. You look lovely! Very fun – Love the striped dress. It’s a summer must-have! Looking chic as always, mama. You look amazing and your baby bump is growing so fast. Have a great weekend! love south park & Jeremy’s. And love that soma is sunny when the rest of SF is often foggy :). The tortoise sunnies are gorgeous! You look amazing! i love pregnant women, they r sooo happy and look gorgeous! oh you look so beautiful anh. I’m so envious looking at your pics and on the other hand, I’m happy that you’re enjoying every bits of what you’re blessed with. I can only wish we have such a great weather and able to hang out at the park like what you have in SF. Our weather here is hot and humid and our parks aren’t too well kept so it’s muggy and wet most of the time with a lot of mosquitoes around. I just found your blog through Apartment 34 and am so glad I did! I live in Morgan Hill, just an hour south of San Francisco, so I’m always looking for ideas of where to go when I go to the city! 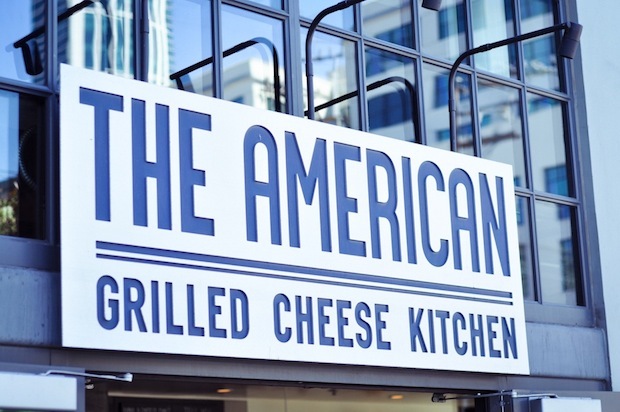 The American Grilled Cheese Kitchen is definitely on my list! I’m back to blogging again after a hiatus and have added your blog to my blogroll. Would you consider adding my blog to your list as well? I don’t know what it is but there seem to be baby news everywhere. You are the 6th blog I’ve come across today that the writer is either pregnant or had a baby. Congrats. Yes! Jeremy’s is bar none my favorite shop in the city! 21st amendment is also great for beer & burgers right across the street. Just discovered your blog and browsing a few of your posts 🙂 You’re making me wish I lived in SF even more now! Routines are the best.. they keep you in check and give you something to rely on. Sounds like a perfect day to me.